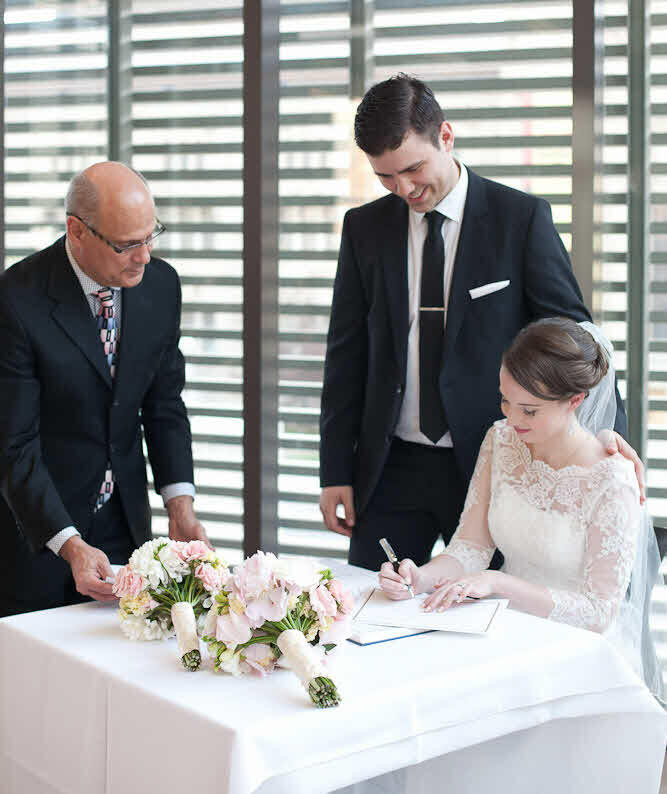 As a wedding officiant to many Toronto couples, I’ve helped co-create memorable wedding ceremonies. Read what they’re saying here. In Ontario, you have considerable freedom in developing your wedding ceremony and vows. Aside from required legal elements of the wedding ceremony, our focus will be to collaboratively develop a ceremony in which you feel comfortable, that speaks to you as a couple and expresses your unique relationship narrative. No two wedding ceremonies are the same. Aside from the four legal elements that all wedding ceremonies must include, every other element is optional. Legal requirements are in bold. I’ve included four sample ceremonies so you can get a sense of the possibilities for your wedding. These are just some examples for you. Feel free to design a ceremony that speaks to you. If you have questions, just ask … I’m here to help.